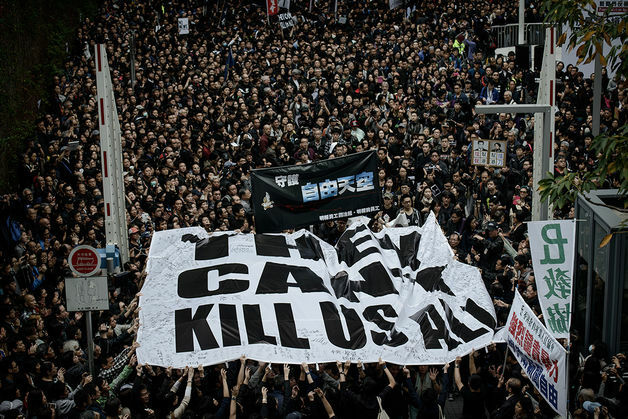 IS TOMORROW THE DAY CHINA’S LEADERS ORDER AN ATTACK ON HONG KONG? It’s a clash that’s been coming since the British marched out of Hong Kong on July 1, 1997. Despite promises from Beijing and wishful thinking in Hong Kong, surely its people knew that China’s dictators someday would move to snuff out their freedom. The anniversary of the day Great Britain handed Hong Kong to China always sparks protest. Tomorrow’s anniversary will be especially tense. China’s state-controlled news media have been blasting Hong Kongers over their ceaseless clamor for democracy. “If they overplay their hand – just like the folks did in 1989 in Tiananmen Square – the state comes down on them,” said a leading pollster in the city. But as Martin Luther King Jr. and Mao Tse-tung knew, only by “overplaying their hand” can people successfully challenge power. Perhaps the fear that ham-fisted repression could hurt profits from the country’s most prosperous city will keep Beijing from clamping down. It’s also possible that forceful and prolonged pressure from international powers could prevent Chinese tanks and guns from rolling into Hong Kong. Without outside aid, that little island is destined to be subsumed into a giant dictatorship where free speech is prosecuted as subversion and calls for democracy treated as treason. And with the example of Tiananmen, there’s no way international leaders can claim they didn’t see this coming. This entry was posted in democracy and tagged Beijing, China, democracy, Hong Kong, protesters, Tiananmen. Bookmark the permalink. ← Fairness? Not our job.